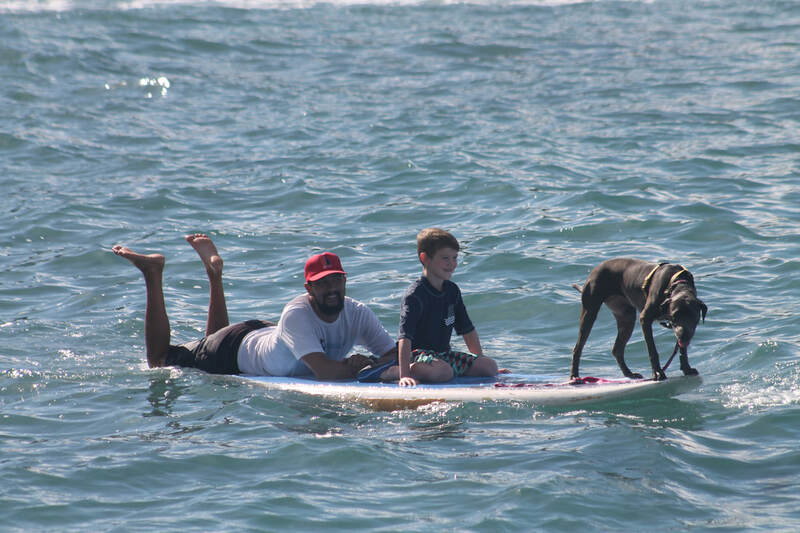 Experience Hawaii in a one-of-a-kind way, on board with man's best friend. 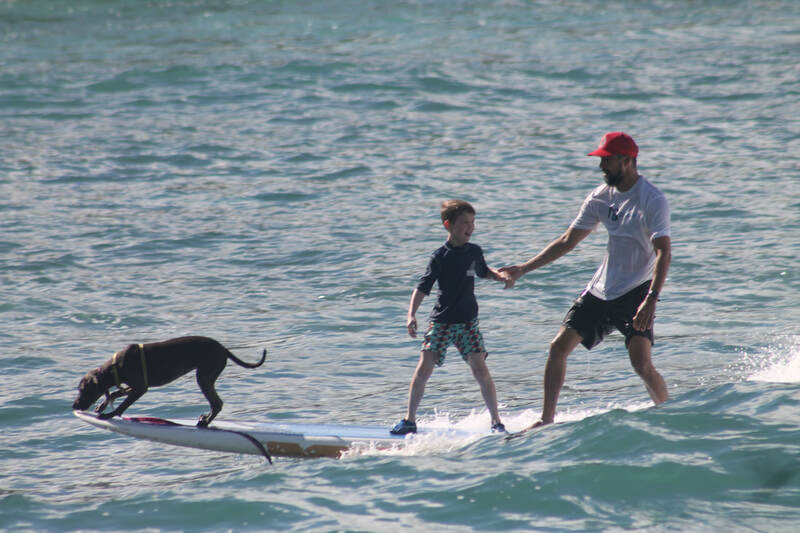 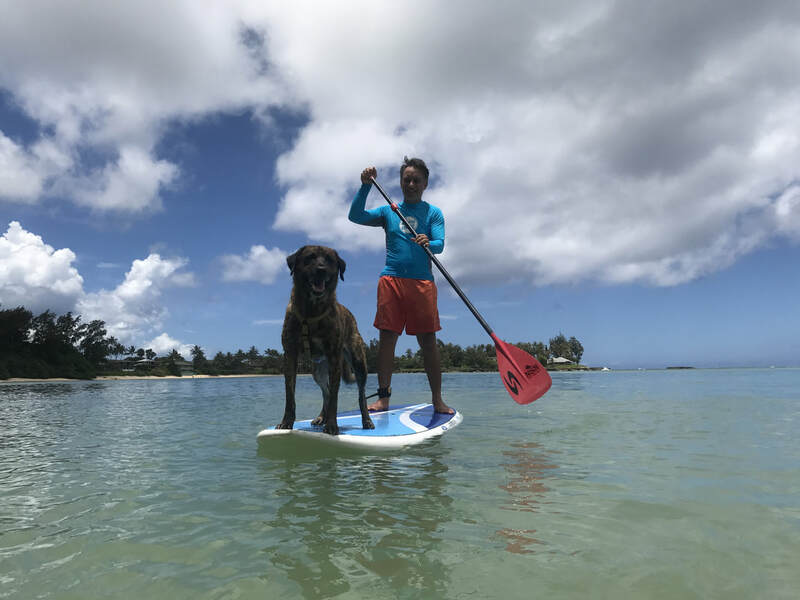 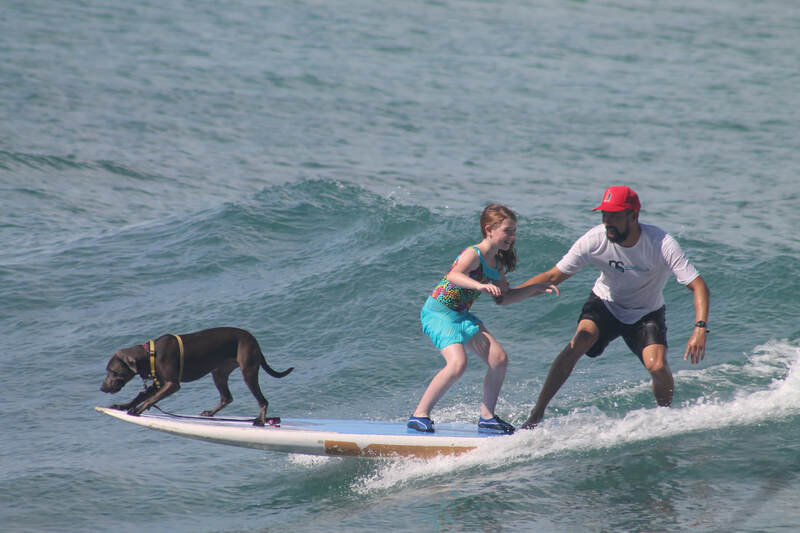 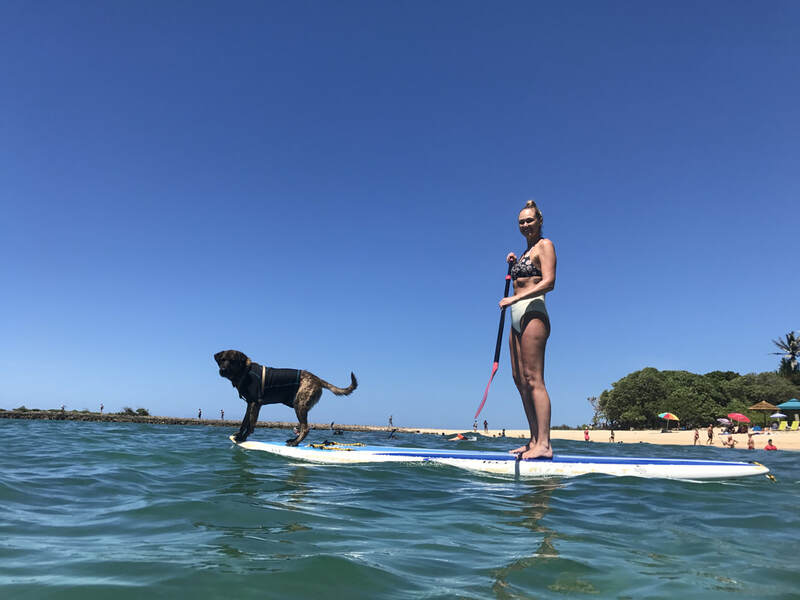 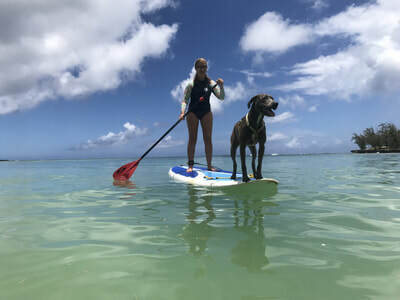 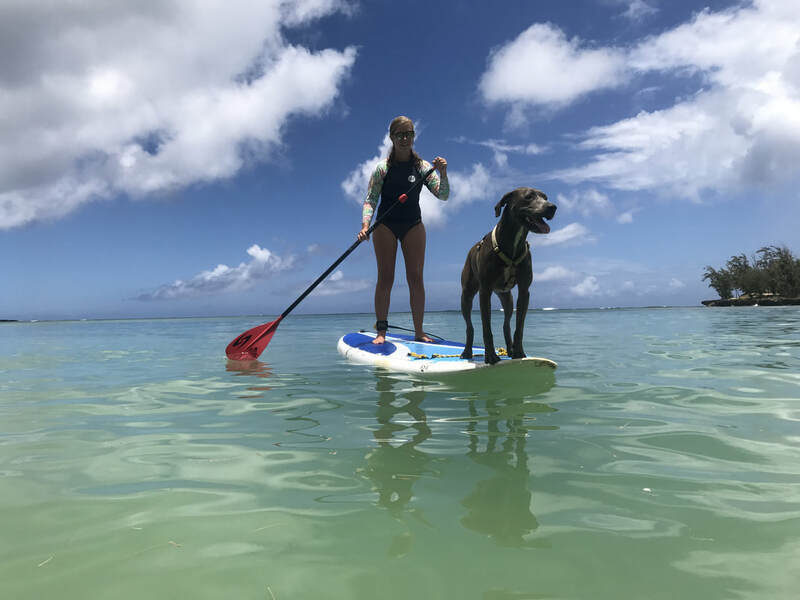 Hawaii Surf Dogs gives you the opportunity to learn how to surf, enjoy the ocean, and grab a little aloha with a highly trained ocean professional and a team of wave-riding dogs! 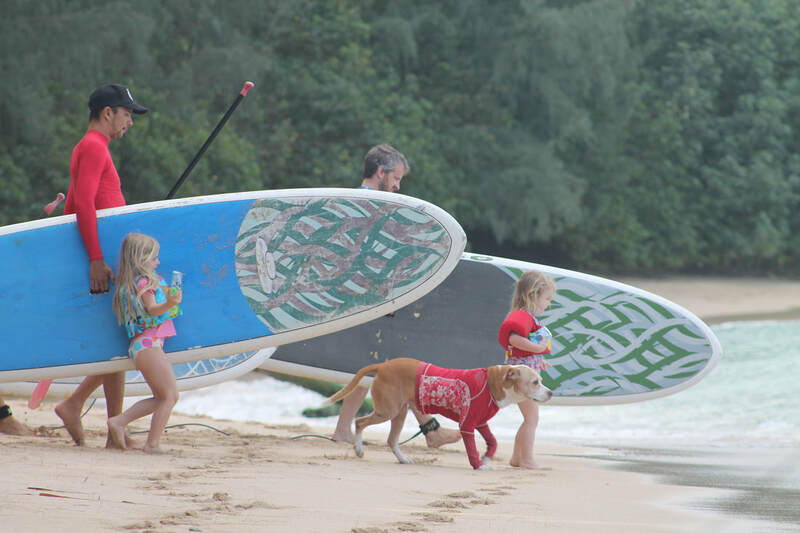 Join Hina, Kahuna, and Rocky for a once-in-a-lifetime adventure on the North Shore of Oahu! 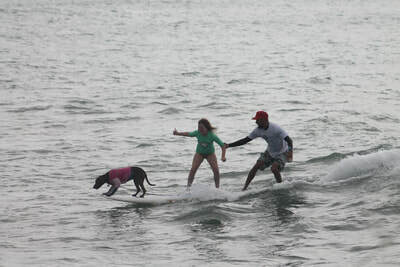 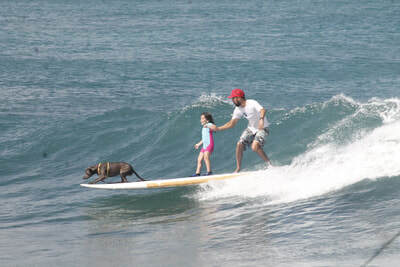 Whether you're a seasoned surfer or just starting out, adding the dogs to your board will be a highlight of your trip. As a North Shore native, Rocky Canon has grown up in and around the ocean with experience as a lifeguard, pro-surfer and surf contest announcer. 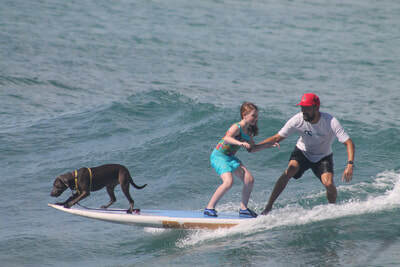 As the Lead Ocean Guide at Turtle Bay Resort, Rocky created Surf Dog demos to welcome newcomers to the north shore. His years of ocean safety experience enables him to make even the most insecure swimmers feel at ease in the ocean.